"I understand it's caused a lot of debate and conjecture but for me it's a small way of appreciating what he's given to the country." Talks about Rooney, 33, coming out of international retirement to receive his 120th cap have been ongoing for a year, Southgate confirmed, but the striker did not want his appearance to distract players ahead of the World Cup. Southgate did not rule out the possibility of the former England captain wearing the armband again. "He wouldn't wear the No 10 because he won't start the game," Southgate said. "In terms of the captaincy, the last game he came on [as a substitute] with me, Jordan Henderson gave him the armband as soon as he ran on the pitch. "So I guess that will depend on the circumstances around the game and the players that are on there but I have no issue with that at all." Southgate did not confirm whether it was his decision to pick Rooney in his 28-player squad, when asked if there was a business motive to sell tickets for the match at Wembley. The England boss said the idea was sprung from a similar tribute Germany gave to Lukas Podolski, admitting honouring former players is not an area the FA has been strong in over recent years. "As the manager, my involvement was: 'Am I happy for him to play a part in the game?' Yes," said Southgate. Rooney has scored 53 international goals and made his last England appearance in a 3-0 victory over Scotland in November 2016. "I'm still able to look to the future in terms of the squad I was able to pick and the things I want to see." He added: "I've talked a lot to the players about the important of the shirt, the history, we've brought former players back in to speak to the squad, to present shirts. "All other players would respect Wayne's contribution deserves the best possible send off. "I understand that's caused a lot of debate and conjecture but for me it's a small way of appreciating what he's given to the country." Southgate revealed he wants to "protect" his core squad as much as possible in the friendly against the US before they play Croatia in the UEFA Nations League - a competition the England manager insists he takes seriously. 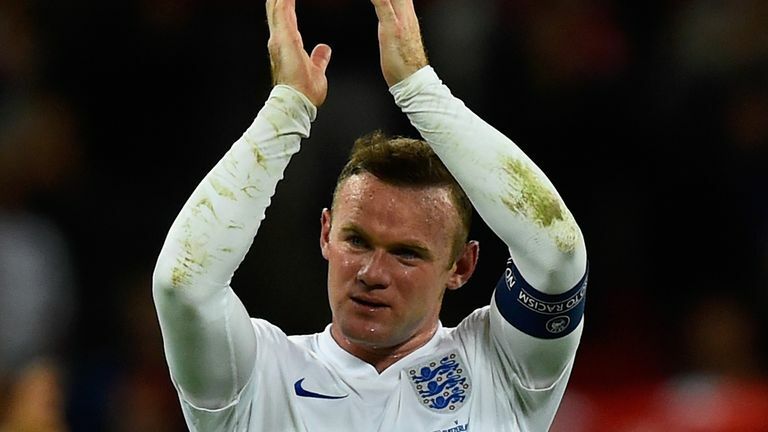 But he said he was relieved to be able to offer Rooney a tribute after dropping the forward from the England squad shortly before the player's retirement from international football. "I hope for him that he gets the appropriate response because I think he deserves that," said Southgate. "He's been a tremendous servant, the number of tournaments he's played in, to be our record goalscorer to achieve that is incredible. "I've been in the unfortunate position of having to leave him out of a squad, but I'm pleased to be able to be a part of honouring what he's done for England."